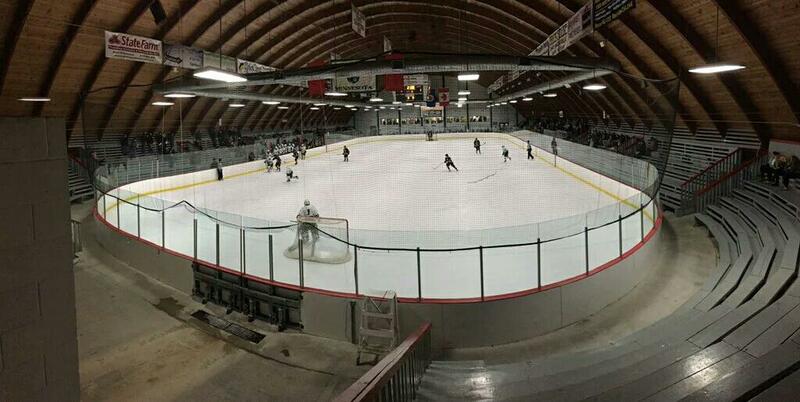 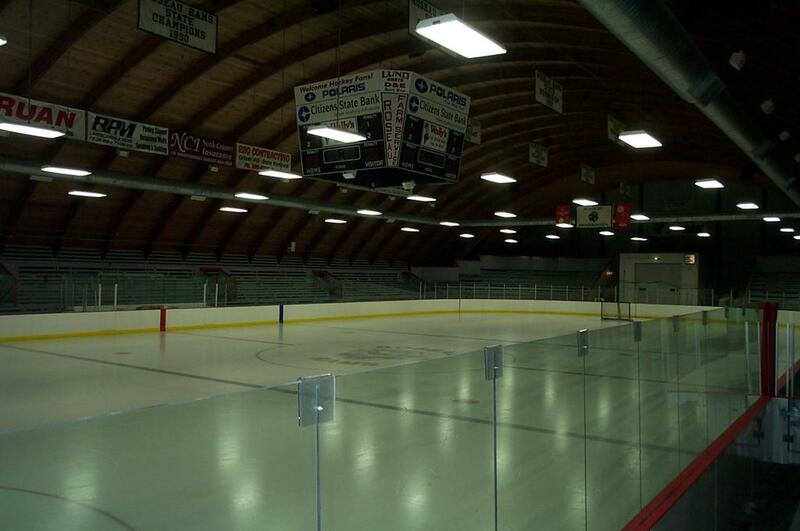 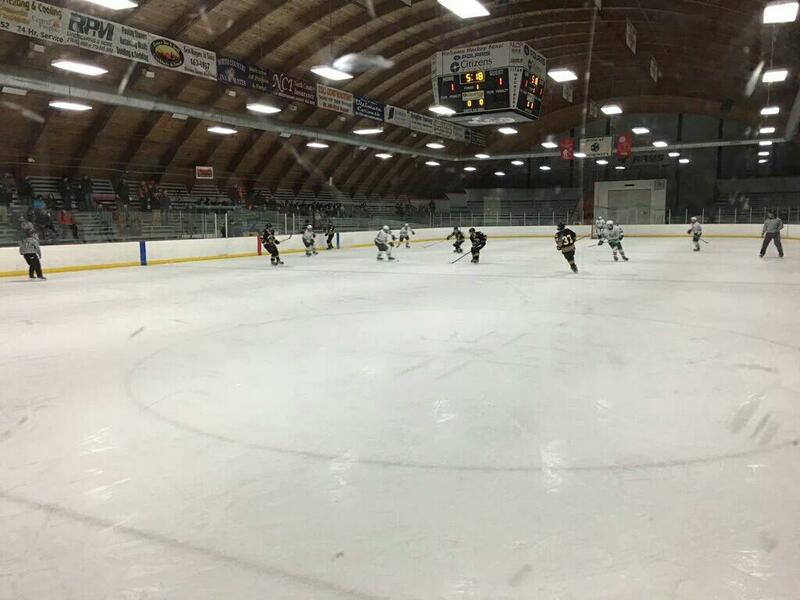 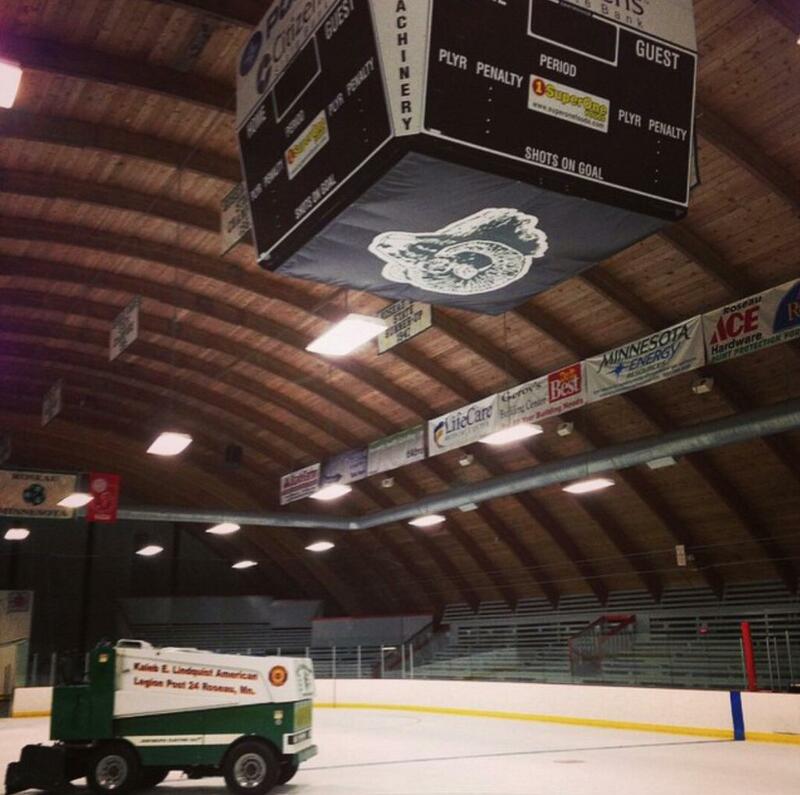 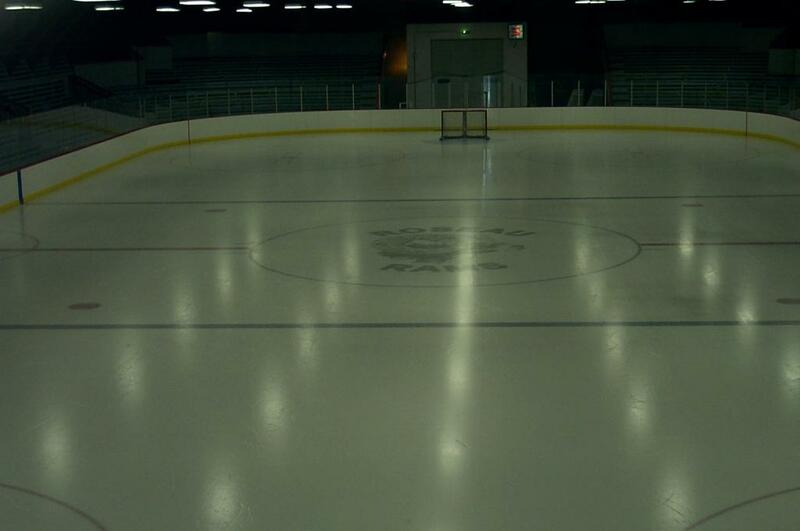 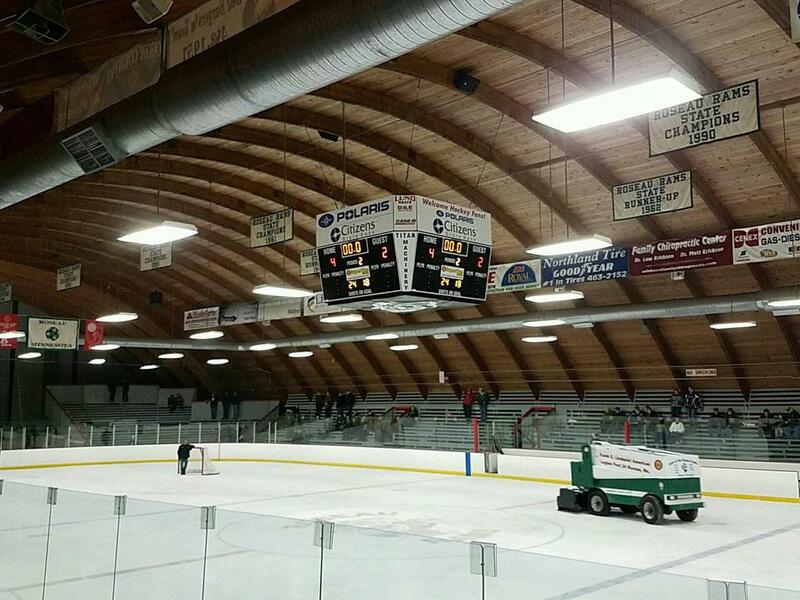 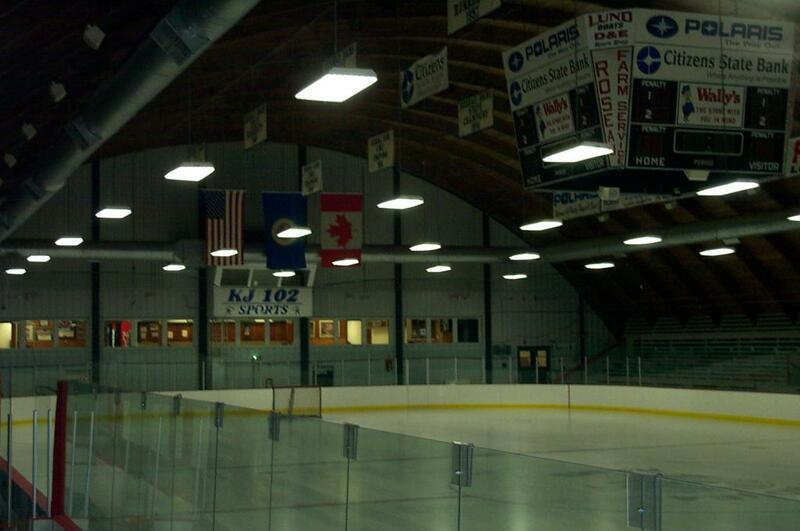 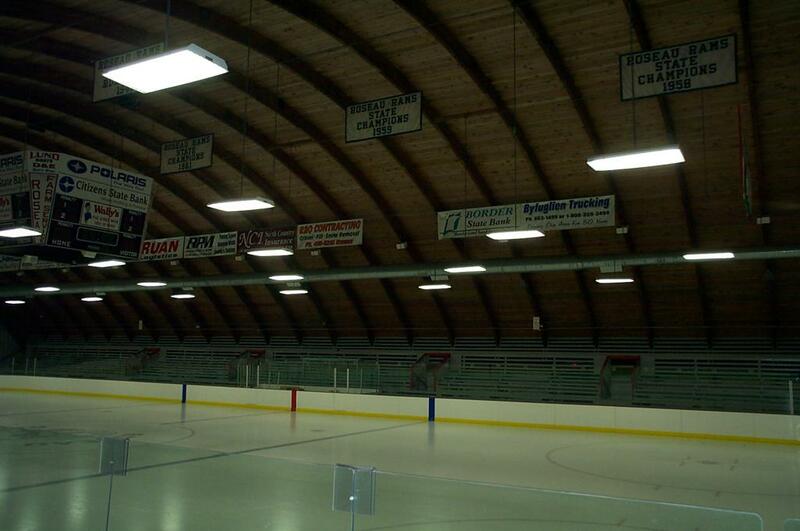 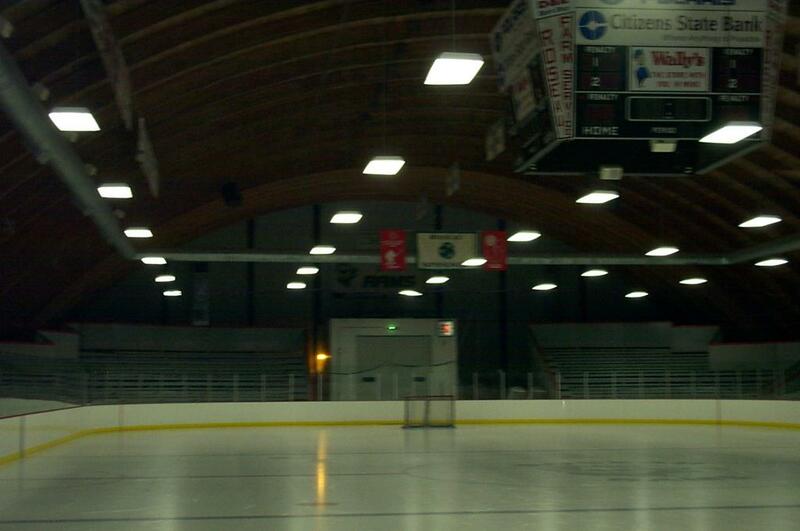 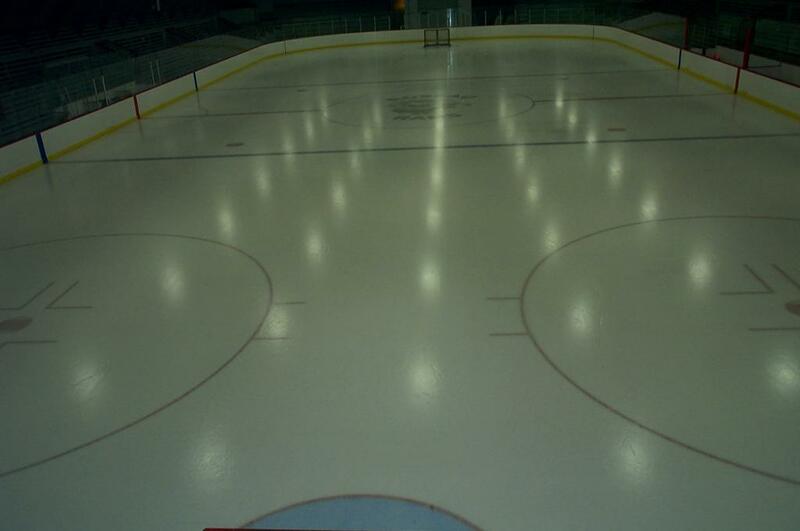 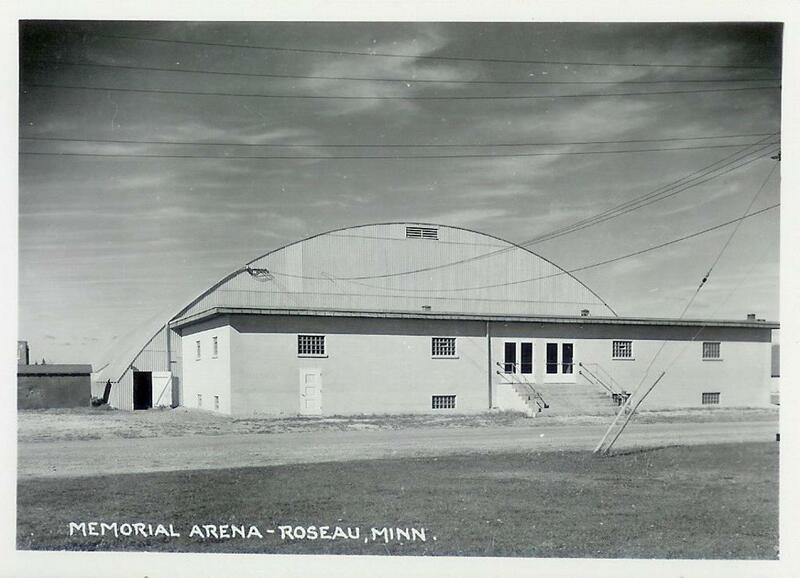 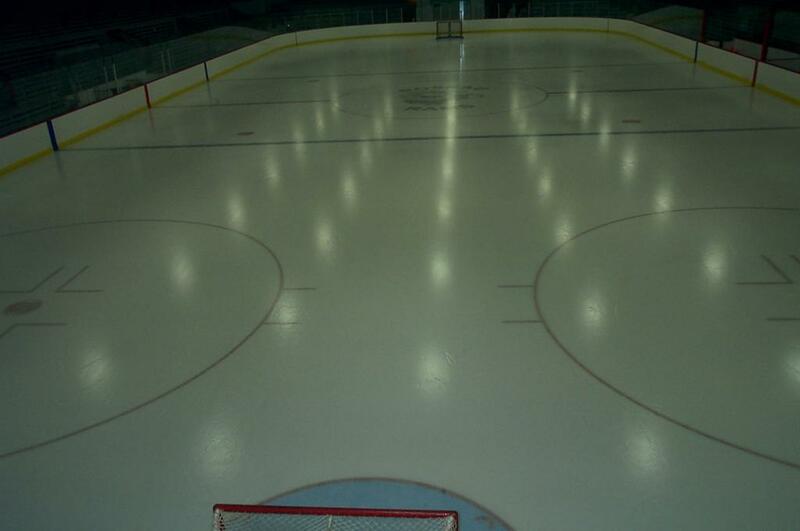 The Roseau Memorial Arena located at 315 3rd Avenue NE 56751 in Roseau Minnesota. 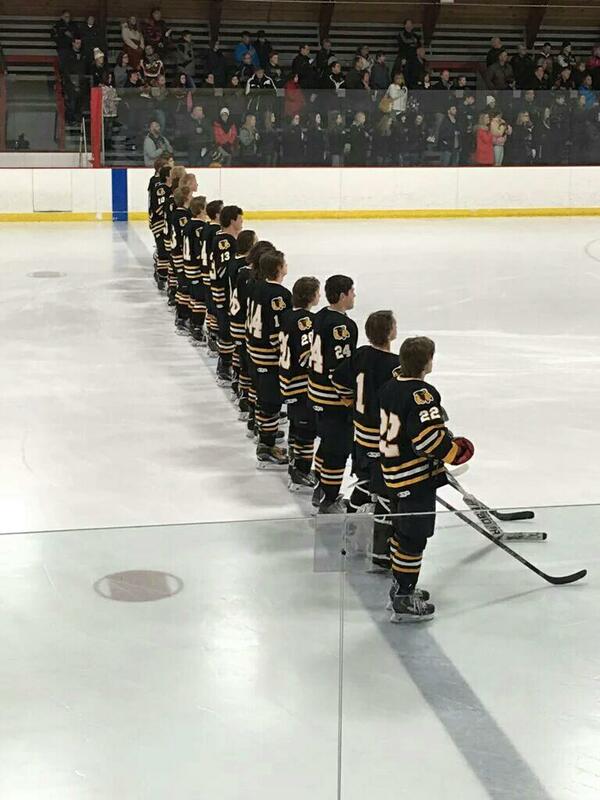 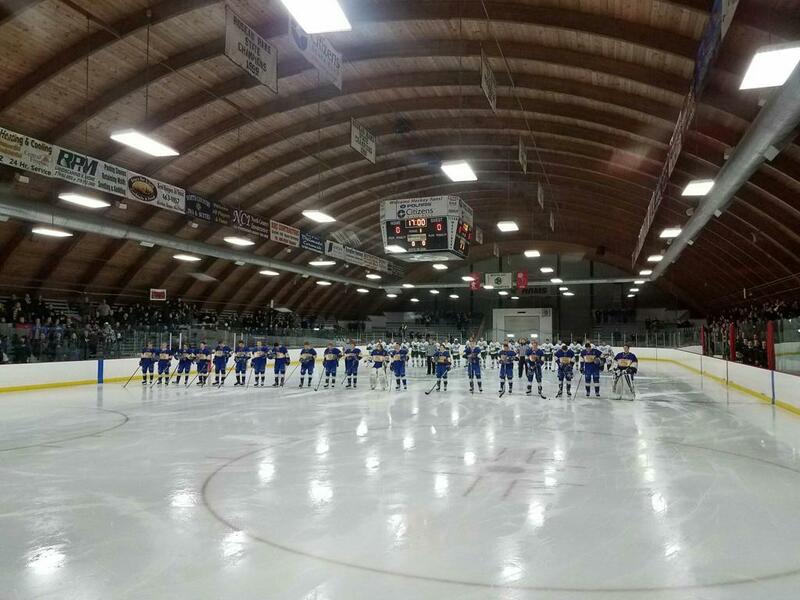 The Memorial arena features one sheet of artificial ice sizing 200 x 85 ft. with seating capacity for over 3,000 spectators, that is much needed when interstate rival Warroad High School comes to town. 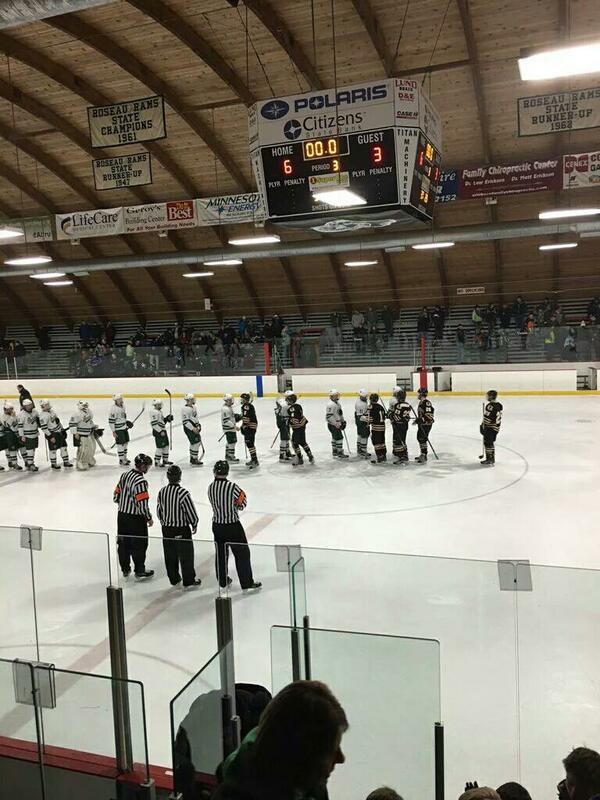 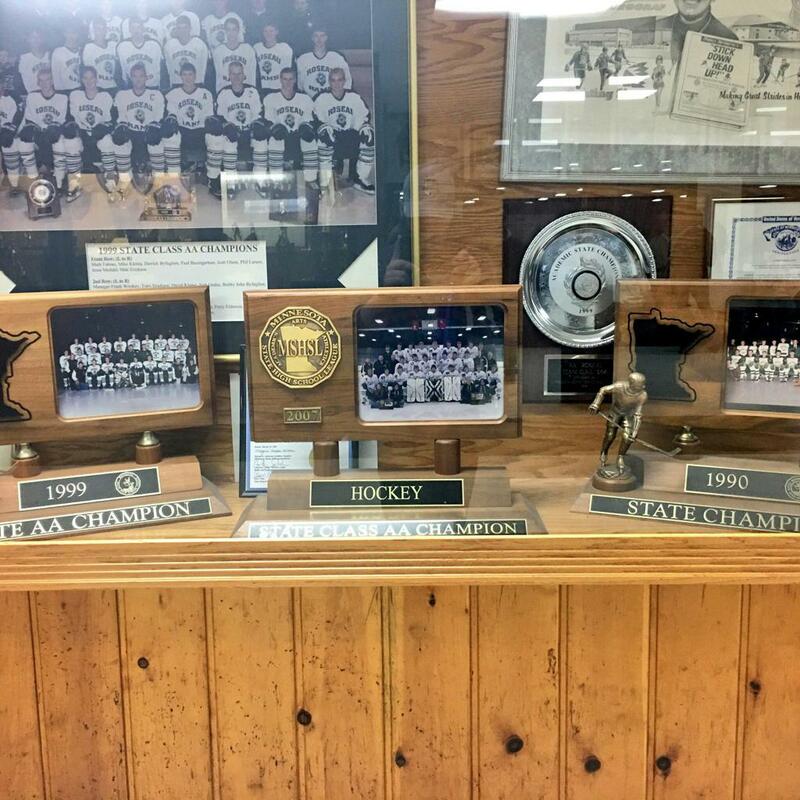 Roseau and Warroad hockey teams have been competing against each other since 1908. 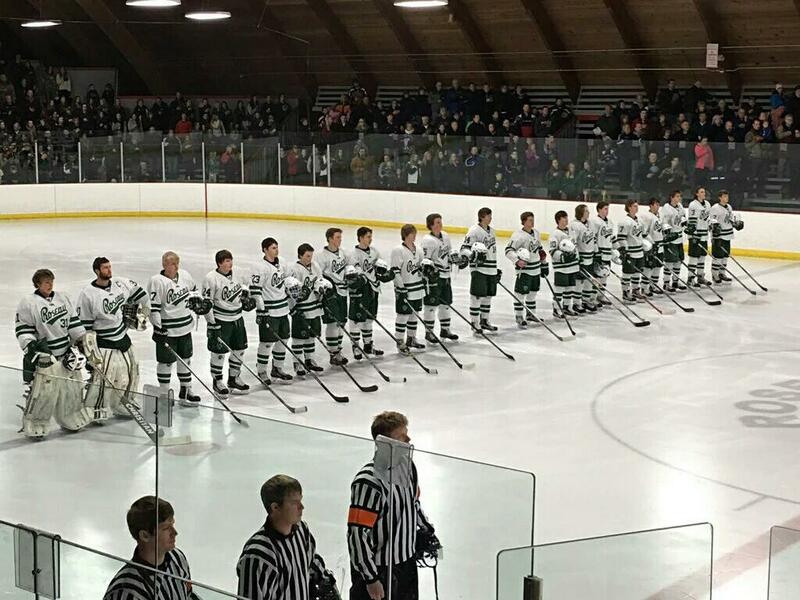 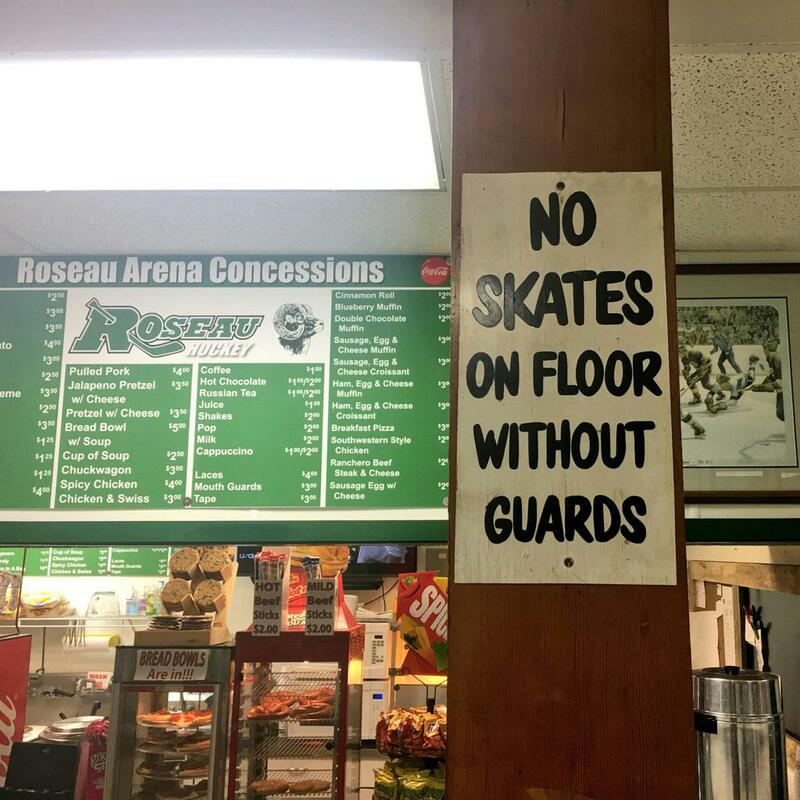 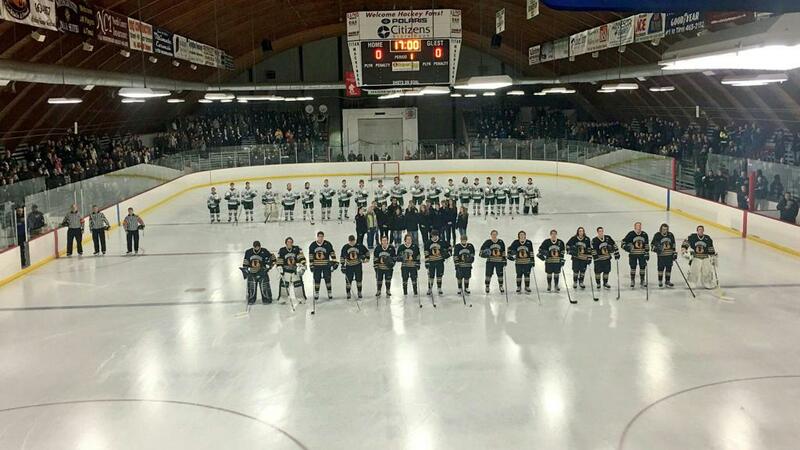 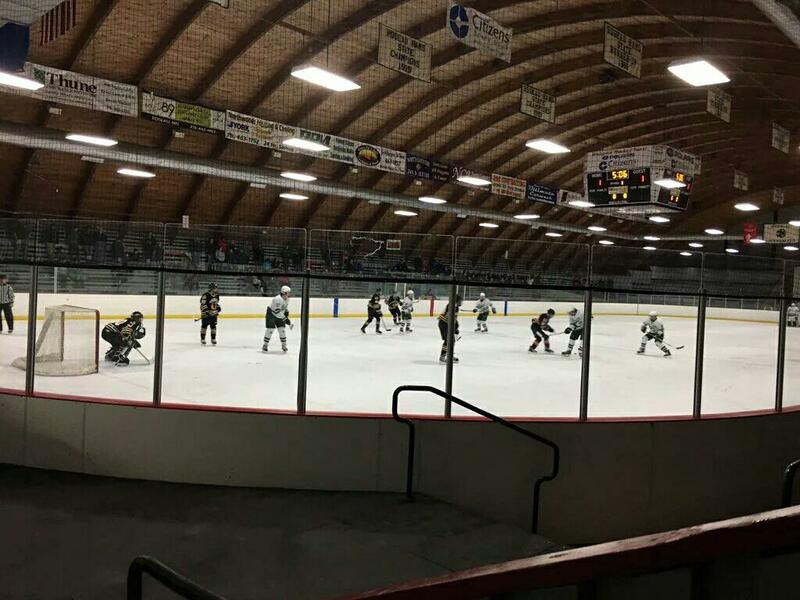 The Roseau vs. Warroad interstate rivalry is one of Minnesota's most celebrated sports rivalries, and a big deal in this part of the state where people take their hockey very seriously. 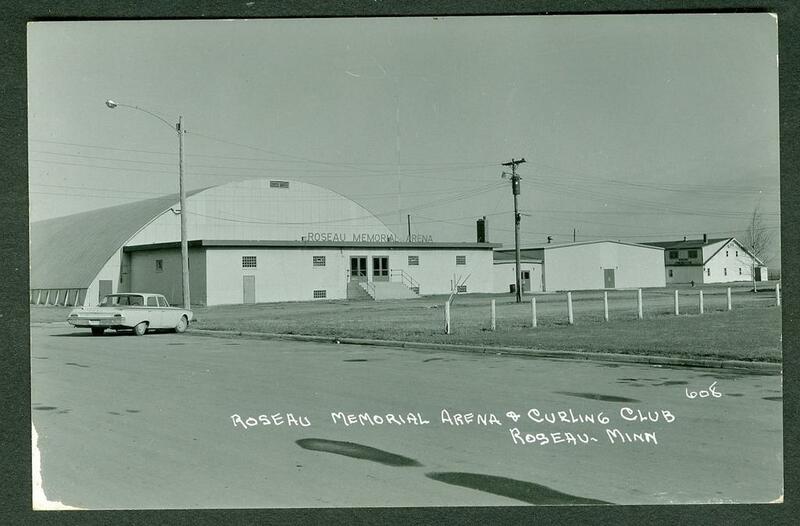 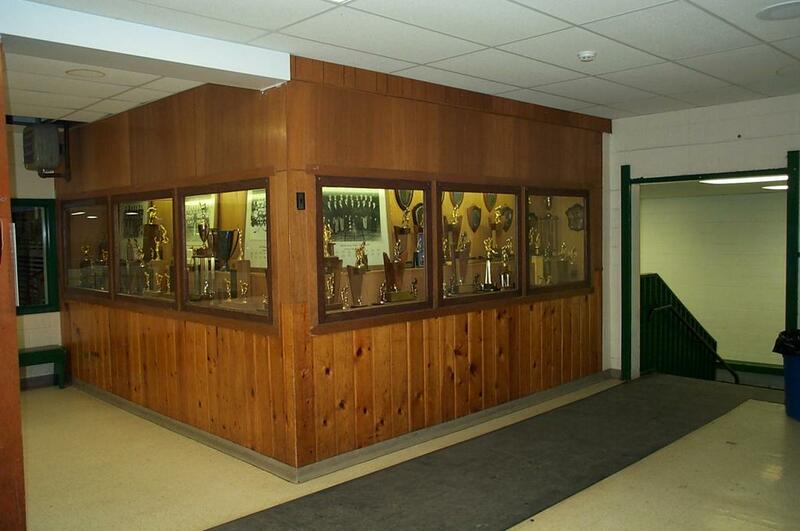 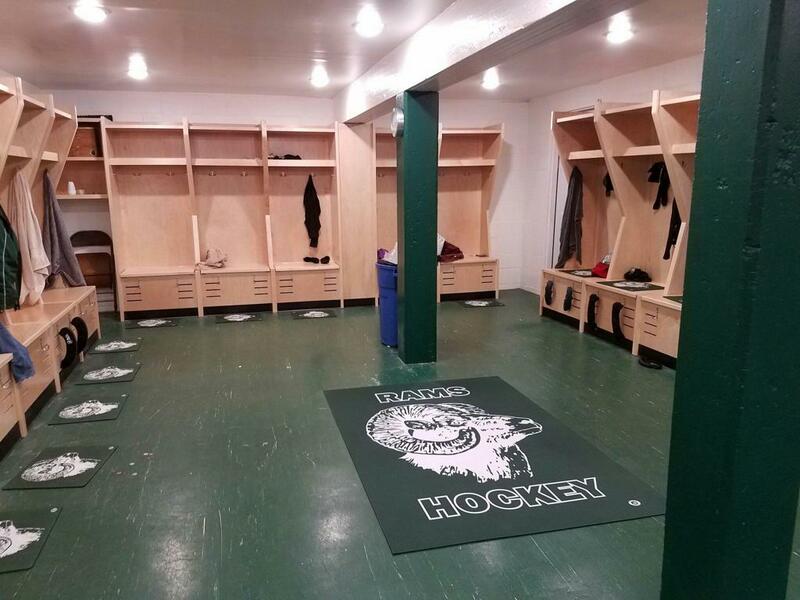 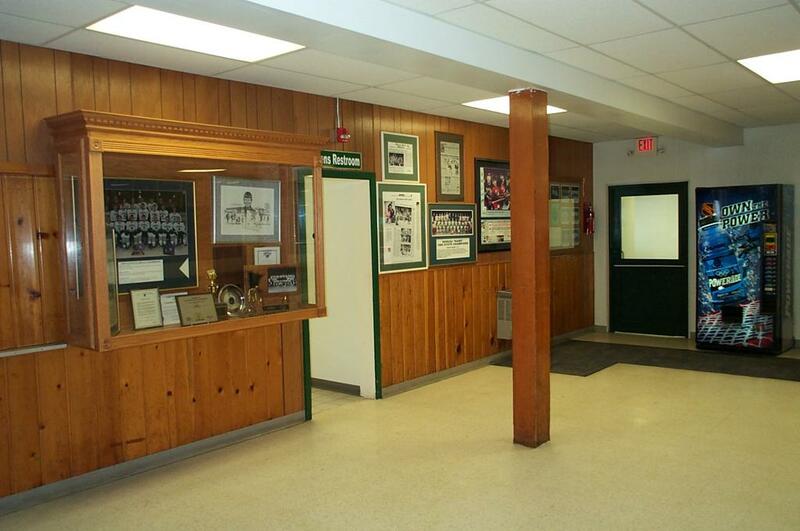 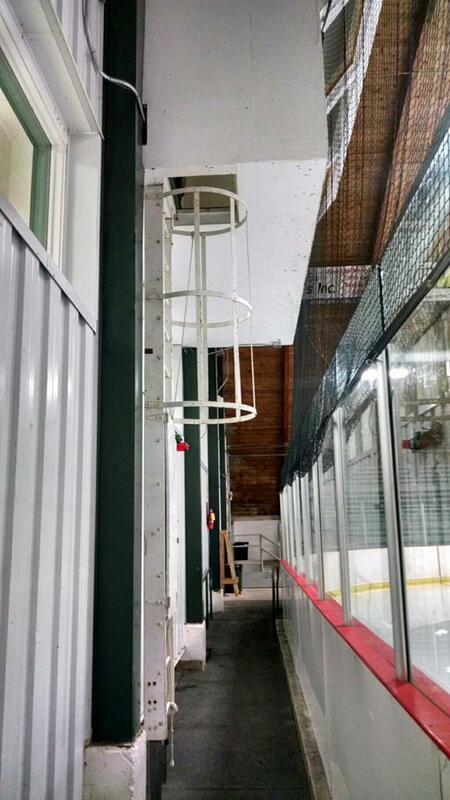 Roseau Memorial arena is an old, wood-ceiling building erected in 1949 with pine-paneling in the lobby dinged from numerous kids playing "ball-hockey". 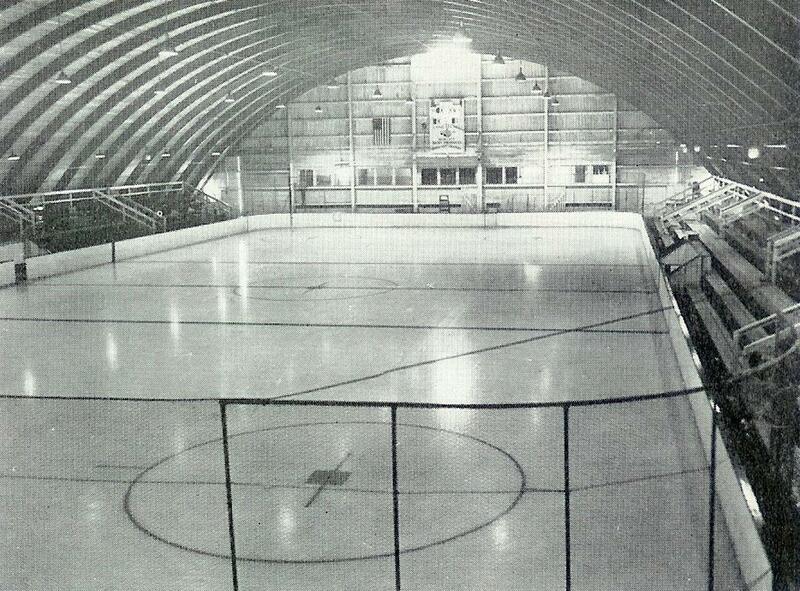 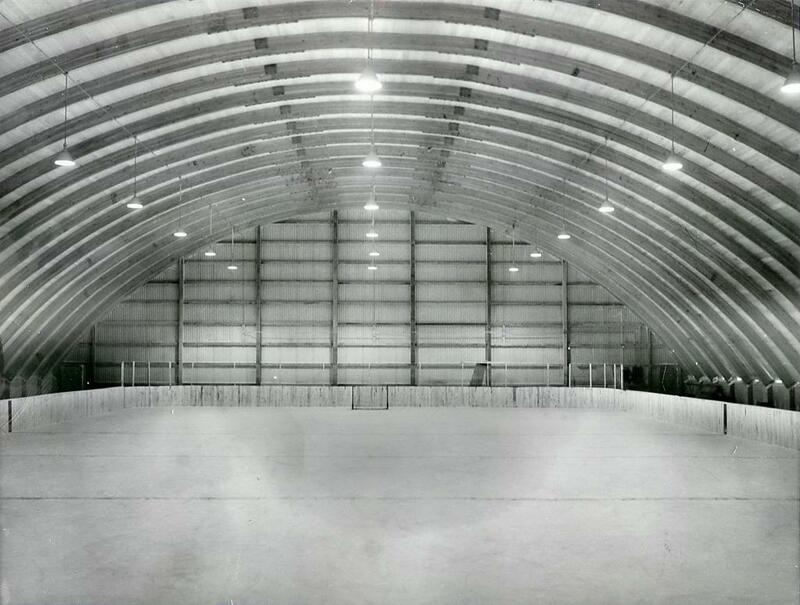 Five hundred men spent thousands of man hours building the 216 x 120 ft. structure that was practically payed for at the dedication of the rink on January 2, 1950. 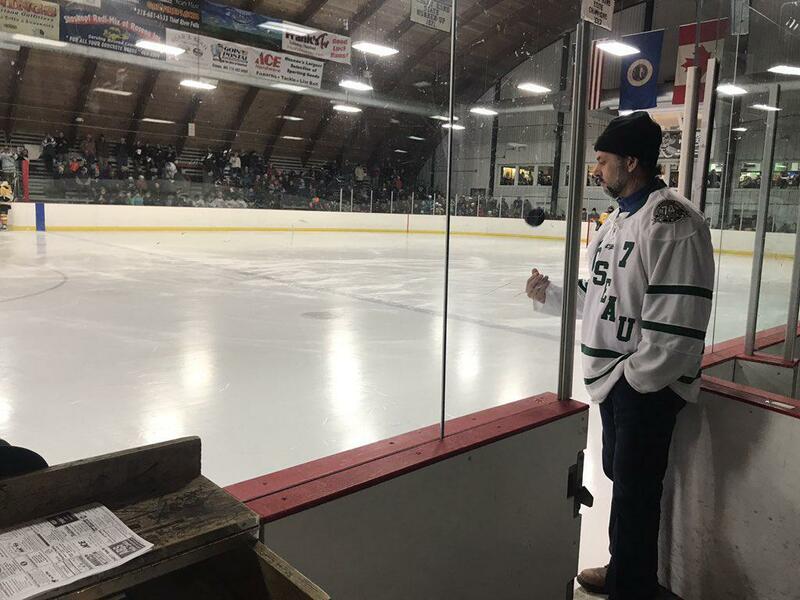 Donations from local businessman, farmers, housewives, workers and anyone that could help throw a few cents in the pot helped pay for the arena. 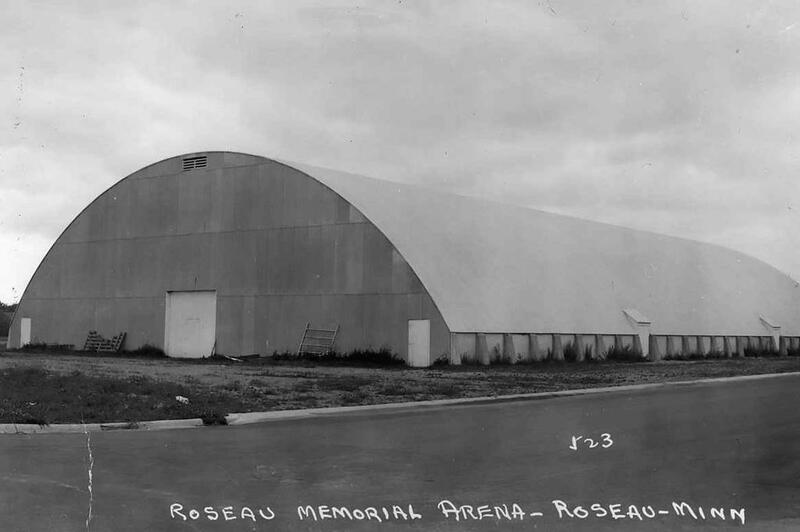 When construction first started men began to swarm around the area watching the hired crew building forms for concrete. 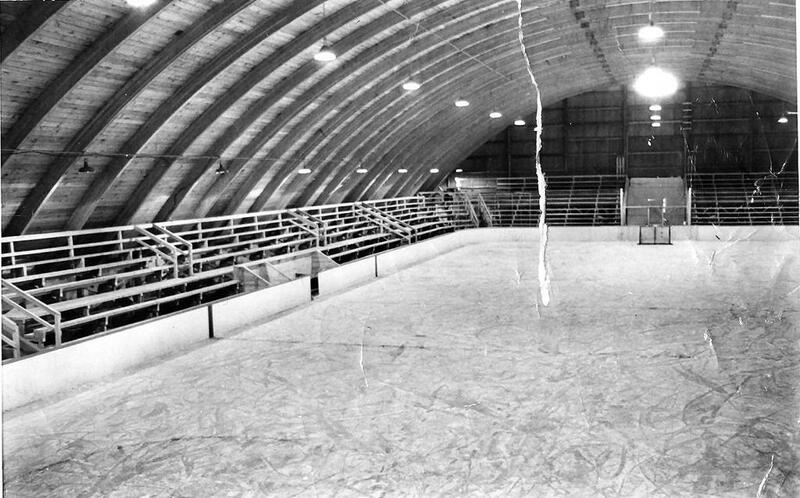 Soon, many volunteers did most of the completion work. 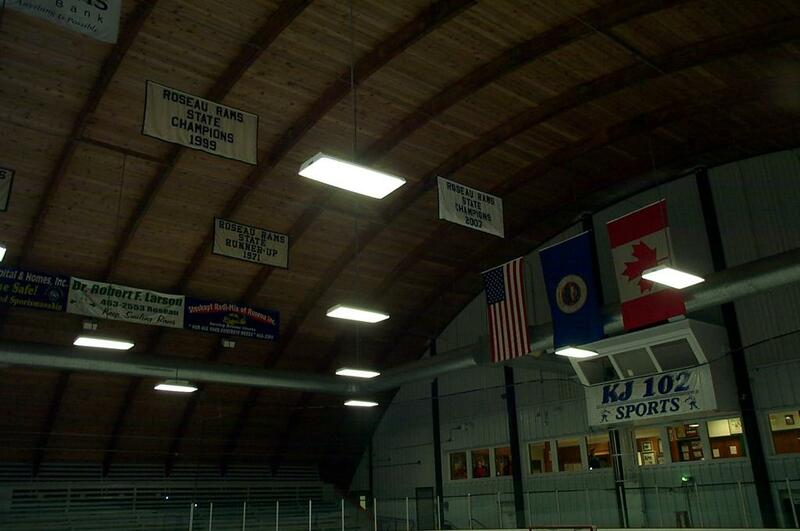 When the 28 giant rafters - each sunk in 14ft. 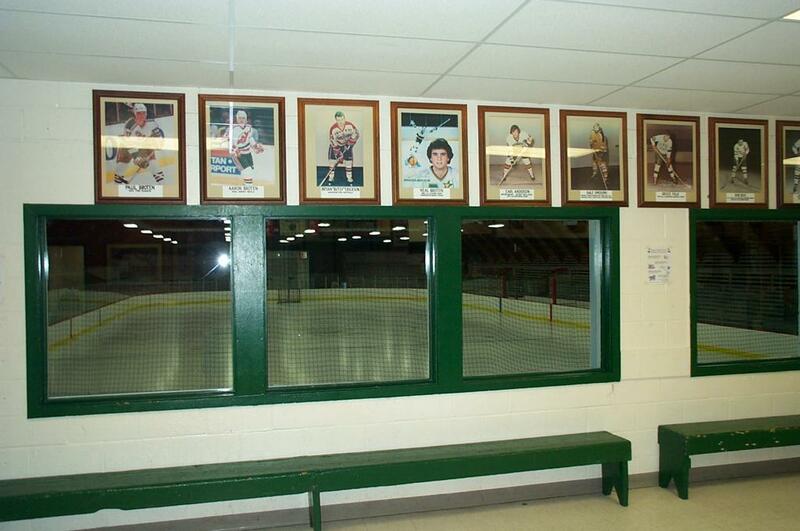 concrete footings - were in place, the volunteer labor completed the entire sheathing in four days. 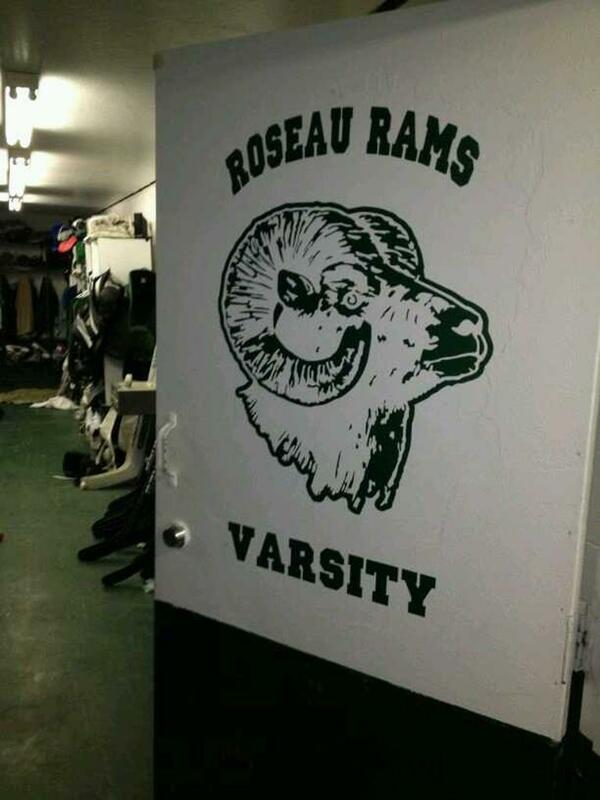 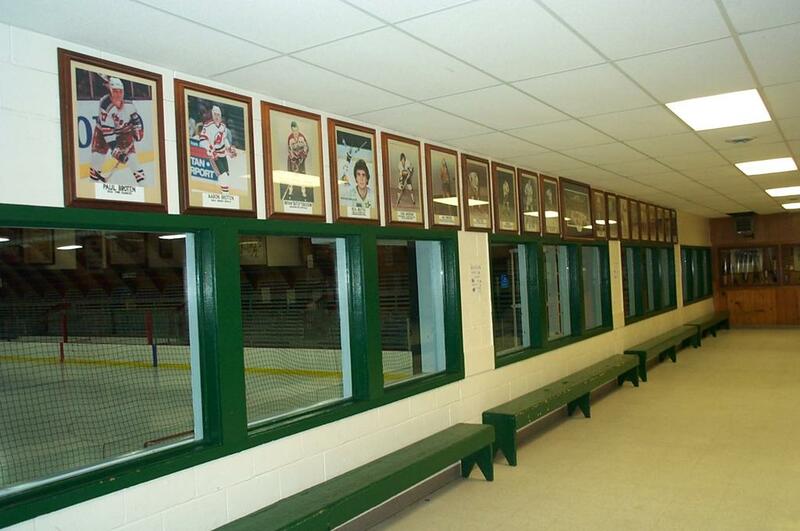 In Roseau there is a newer ice arena called the Rams sports center located next to Roseau High School, but the Rams High School team prefers the old one in which numerous Division 1, Olympic gold medalists, and NHL hockey players have donned the Forest green and white Rams sweaters from Roseaus' yester-years. 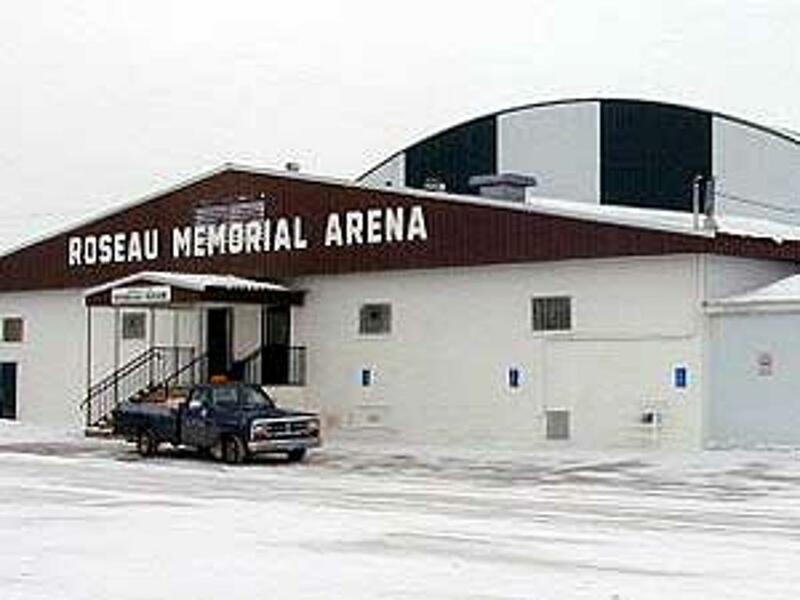 The Memorial Arena was damaged back in 2002 when major flooding damaged more than 90 percent of the properties in Roseau. 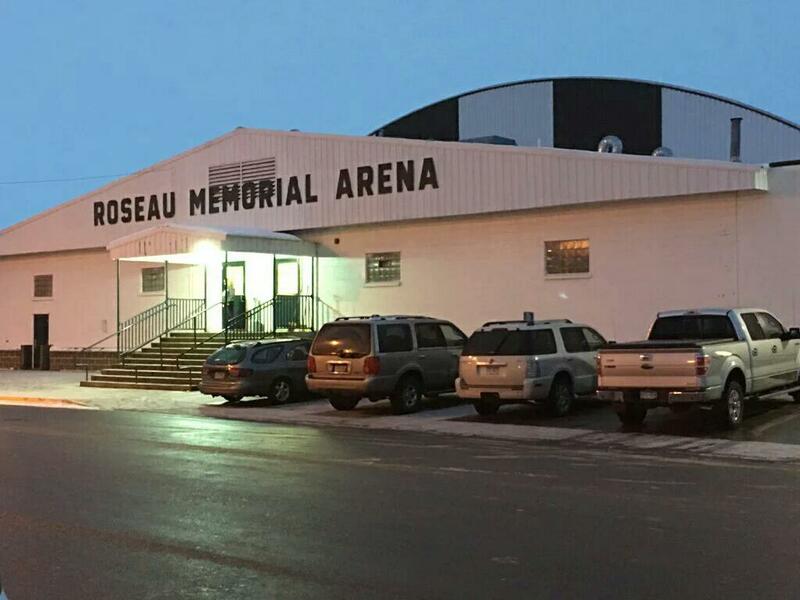 The citizens of the surrounding communities and Roseau once again teamed together to revive the town and the old Memorial Arena. 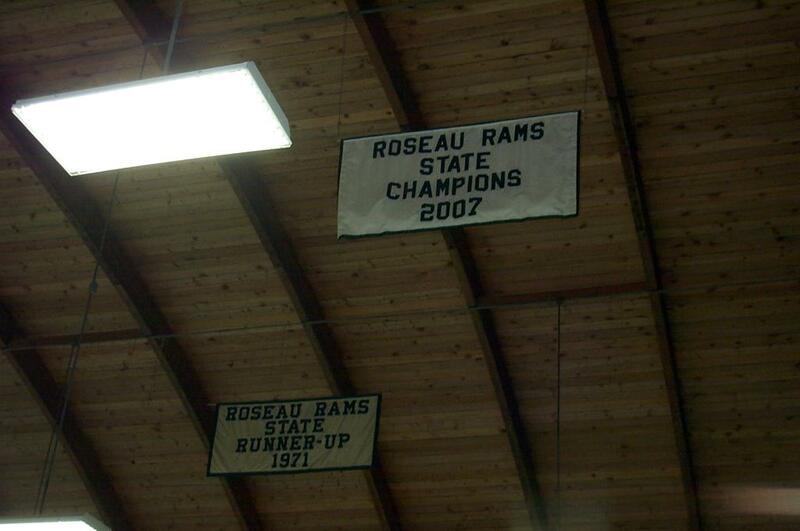 Countless kids from Roseau's youth hockey association will once again dream of following in Roseau's past history of hockey supremacy that have led the Rams hockey team to be one of the "Best High School Boys Hockey program in the State of Minnesota," Memorial Arena proudly houses Championship banners that hang in the rafters from: 1946, 1958, 1959, 1961, 1990, 1999, and most recently 2007. 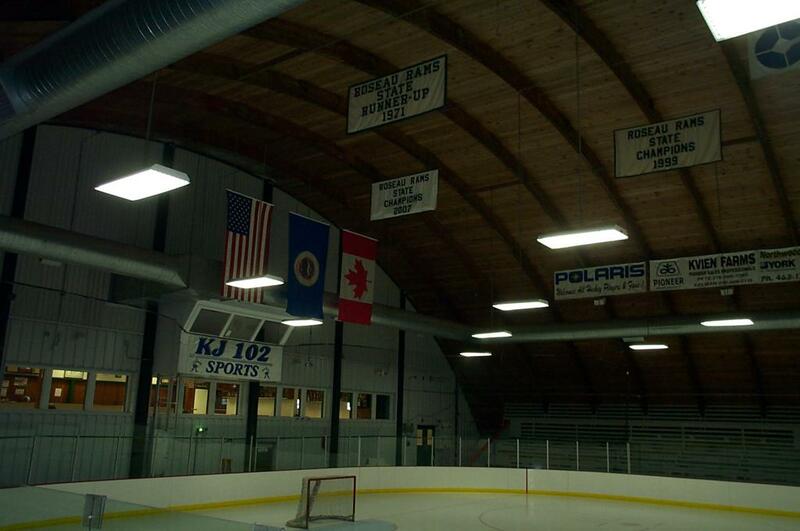 Upon visiting the Memorial, and adjacent North Rink - where ice is always free to skate 24hrs a day "just turn out the lights" if you're the last to leave for the night, one must also take a visit to the now infamous Roseau Therapy Room, which ironically is within the heated Zamboni parking garage between the 2 adjacent rinks. 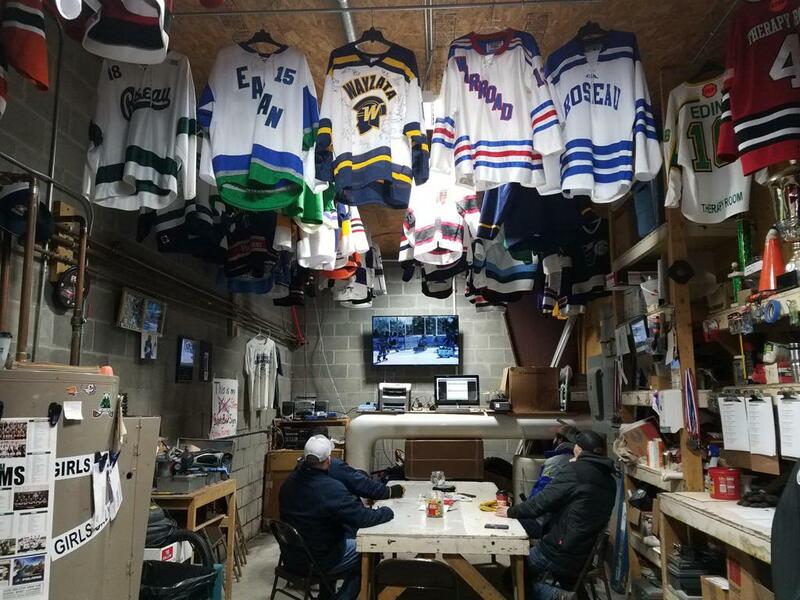 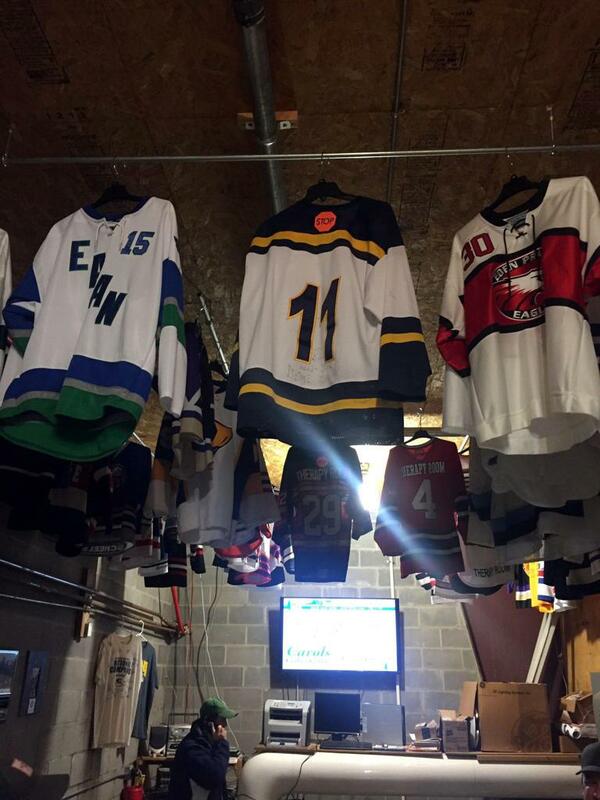 The therapy room is filled today with visiting teams donated jerseys, hanging from the overhead ceiling pipes for all to see that visited the room, the fine folks in Roseau are always looking for your teams jersey to donate - tell them "Bobcat from Roseau sent you"! 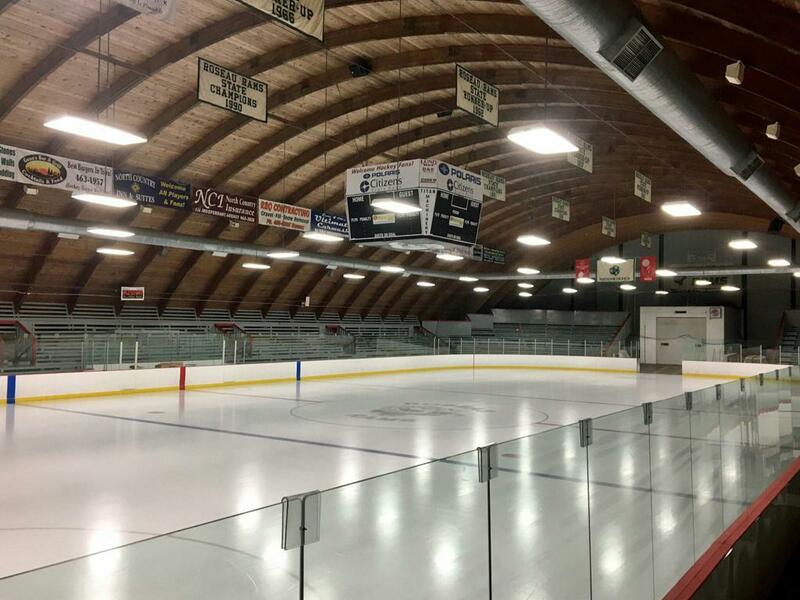 A big-screen TV with chairs are within the garage to take in the evening news, or State Tournament action in this fabled building. 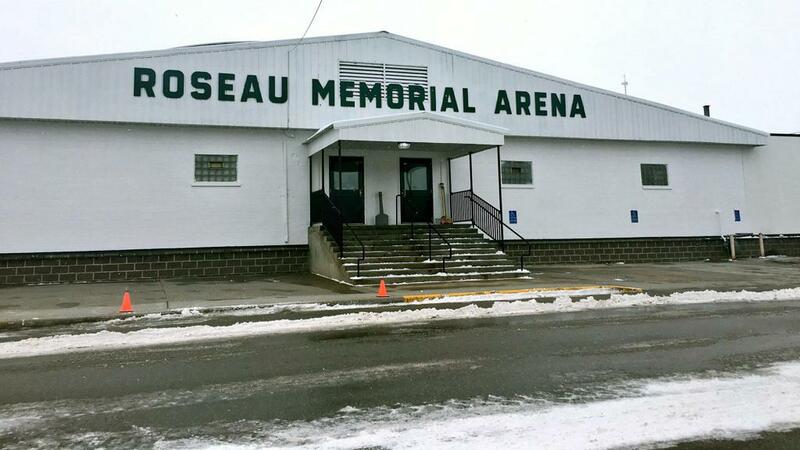 Special thanks to Chad from the Roseau Memorial for information on the Memorial Arena.